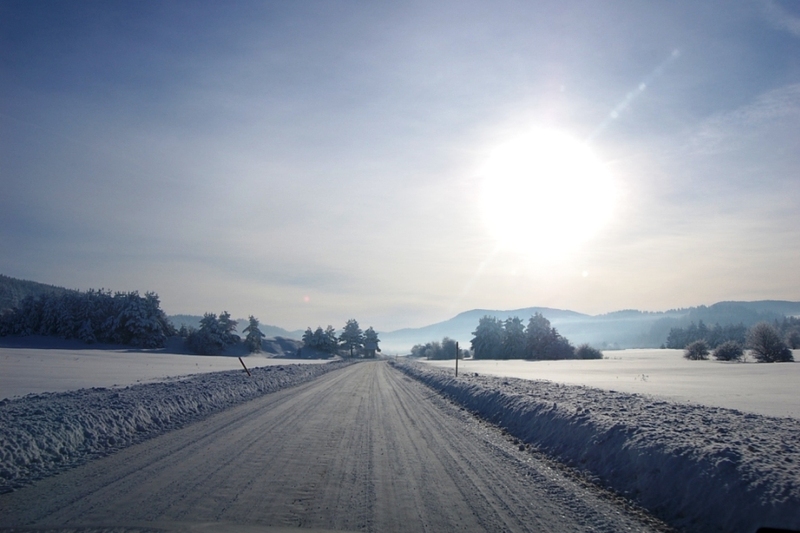 25km due south of Ljubljana is the wonderful and mysterious Lake Cerknica, which fills up between October and June, freezes during the Winter and empties during the height of Summer to create Slovenia's largest lake by some margin. It is a beautiful place and an outstanding spot for birdwatching and when full for fishing as well as a variety of water sports. 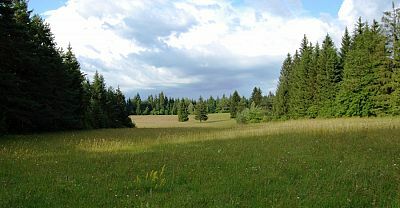 Together with the Rakov Škocjan sunken karst valley, the javorniki hills and Menišija Plateau comprises the Notranjska Regional Park. 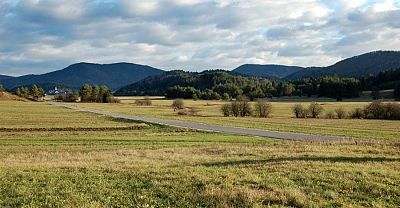 South of the lake lie two of Slovenia’s wildest and most untouched mountain areas – the Snežnik mountains, home to beautiful Snežnik Castle and the Kočevski Rog further to the east, both of which offer outstanding hiking and cycling. 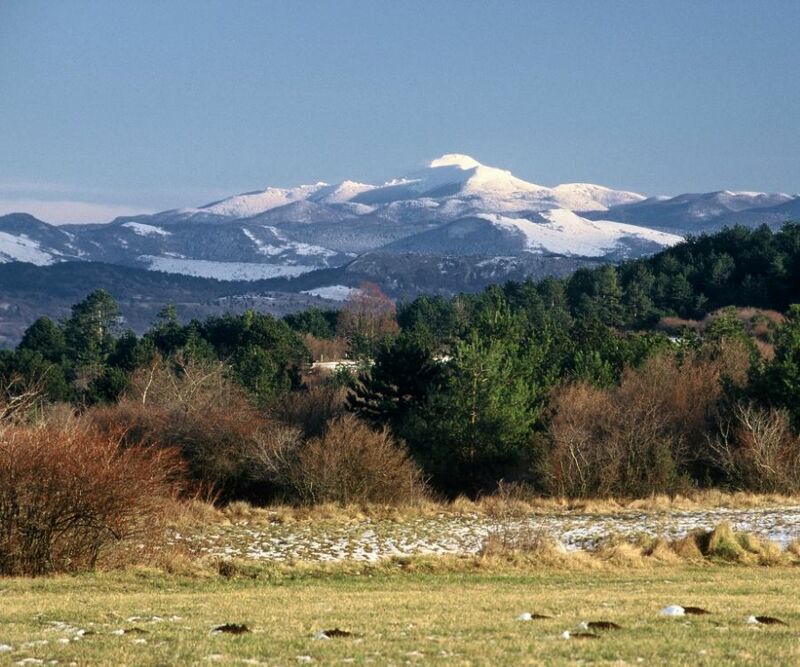 Between these two mountain areas lies the magnificent Kolpa River Valley which forms the border with Croatia. 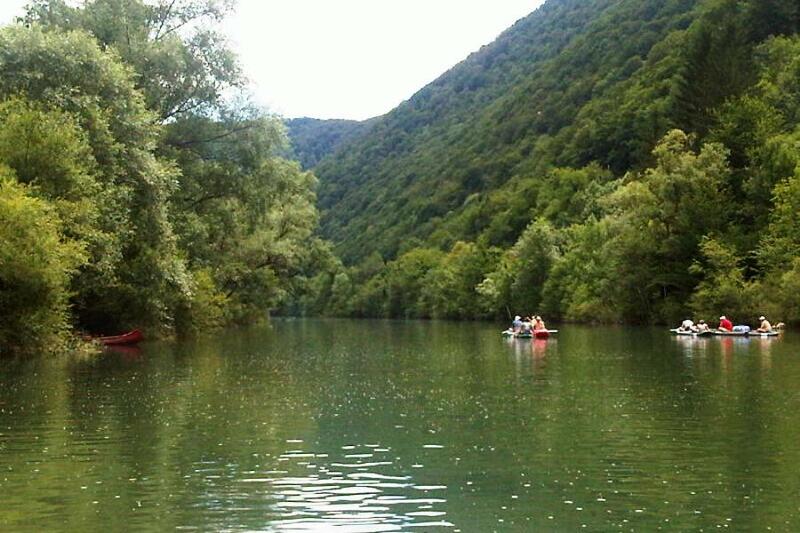 The Kolpa is a wonderful place for kayaking and rafting not to mention swimming and sunbathing in Summer months. 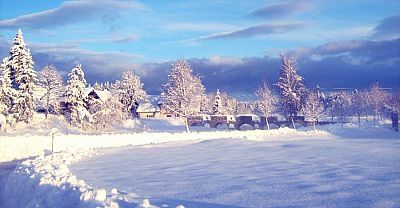 For Cerknica Weather click here. 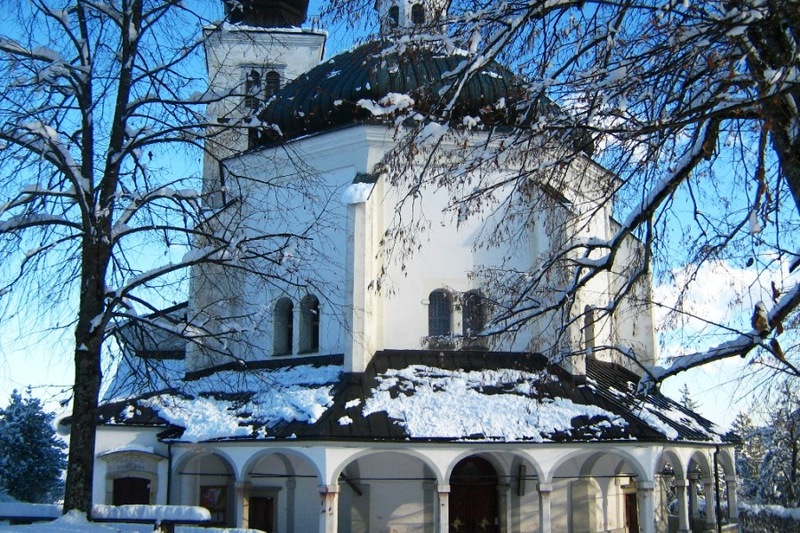 Located south east of the town of Cerknica in beautiful hilly countryside dotted with sleepy villages and churches is Lake Cerknica - one of Slovenia's strangest but also most beautiful natural phenomena. 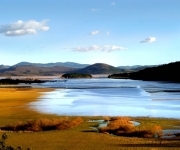 Thanks to the limestone karst landscape of the region the lake fills in Spring, Autumn and times of heavy rainfal and typically empties in Summer and Winter although sometimes the emptying and filling of the lake follows a different pattern and can be quite unpredictable. There have been times when it has remained full for several years and in 1834 it remianed empty for a whole year. There is no surface outflow and only when it is empty can the sinkholes through which the water flows out be seen. 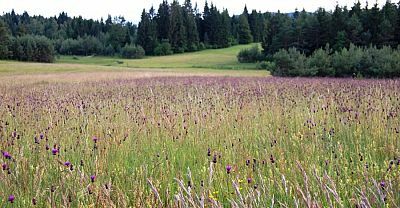 At its height it is by far Slovenia's biggest lake (and Europe's biggest intermittent lake) covering an area of up to 37km and is a protected nature reserve and part of the Natura 2000 network of protected natural habitats. 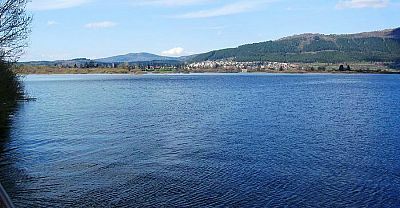 As such it offers excellent birdwatching, but also fishing and a range of watersports such as sailing. 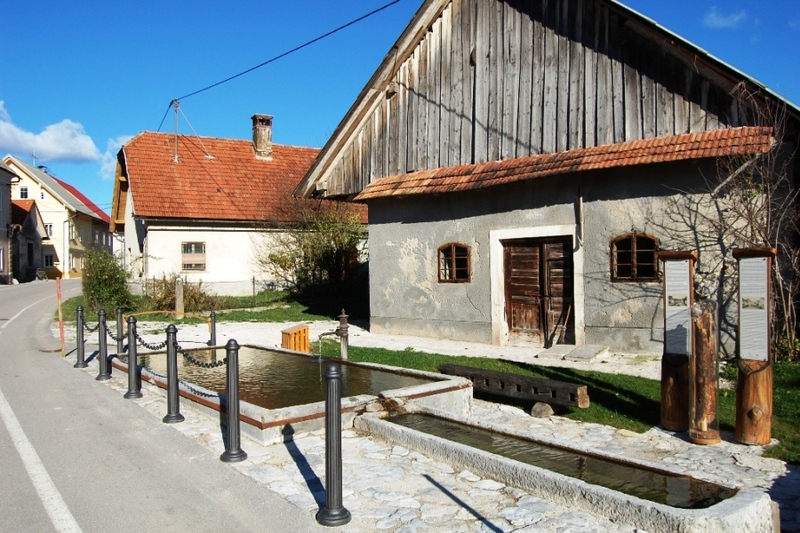 The River Kolpa forms the Southern border between Slovenia and Croatia. 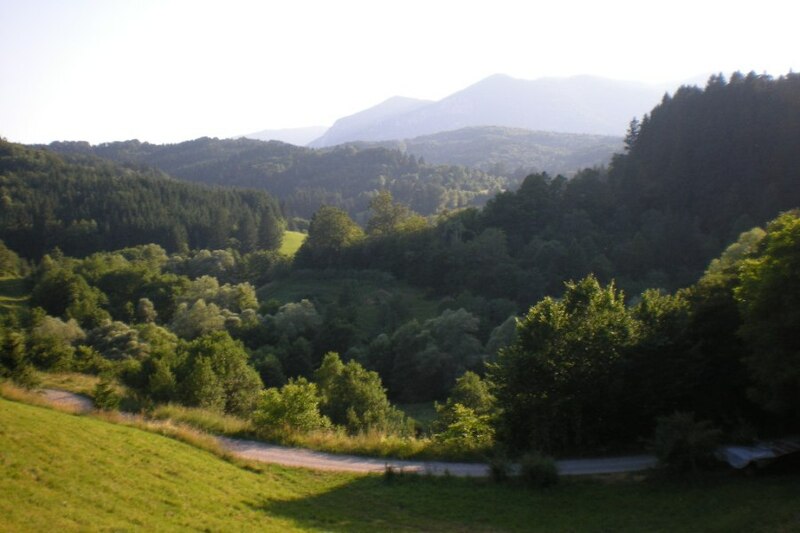 It is a beautiful valley surrounded along most of its course by steep wooded hills. 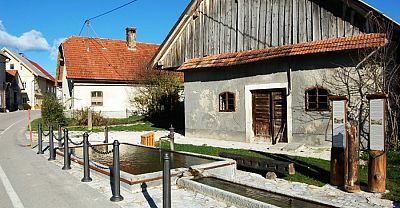 With relatively few towns and villages travelling the Kolpa is to step into one of Slovenia's most attractive wildernesses. 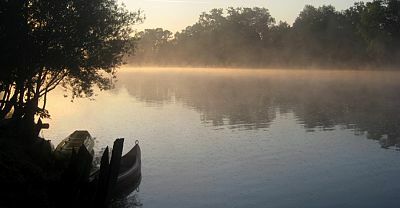 The river is long and gentle for most of its course and as such offers scope for several day long river safaris for beginner level paddelrs upwards, with the possibility of sleeping either at various guesthouses / campsites along the river or alternatively at various sites on the shores of the river where wild camping is permitted or indeed at one of the several established campsites. 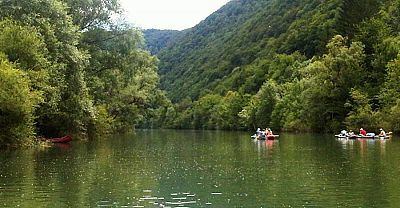 The river also offers excellent fishing and many of the restaurants along its course serve delicious Kolpa River trout. 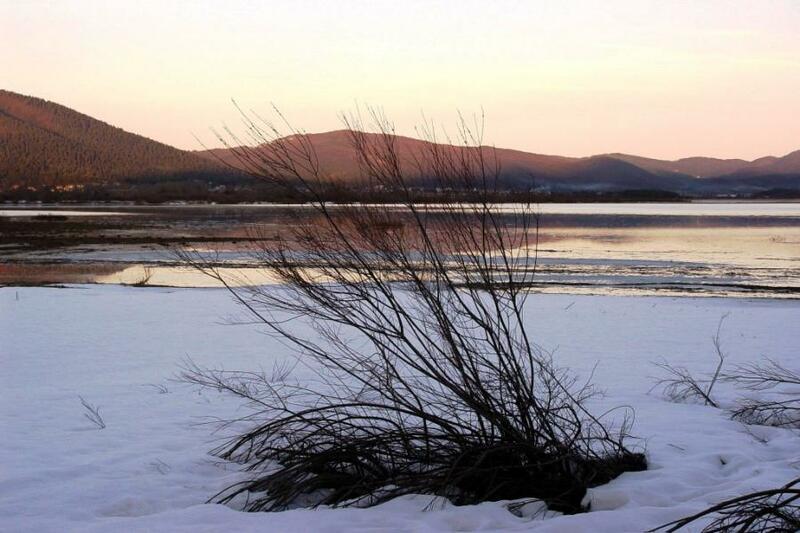 Lake Cerknica, a truly strange and beautiful natural phenomenon - a lake that empties and fills at different times of the year dependent on season and rainfall. 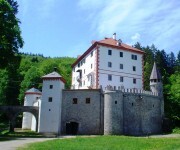 Snežnik Castle, built in the 13th or 14th century by the Schneburg family, from whom the current name is derived. The castle has been externally renovated in recent years is surrounded by attractive parkland and with some interesting 18th and 19th century furnished rooms inside. 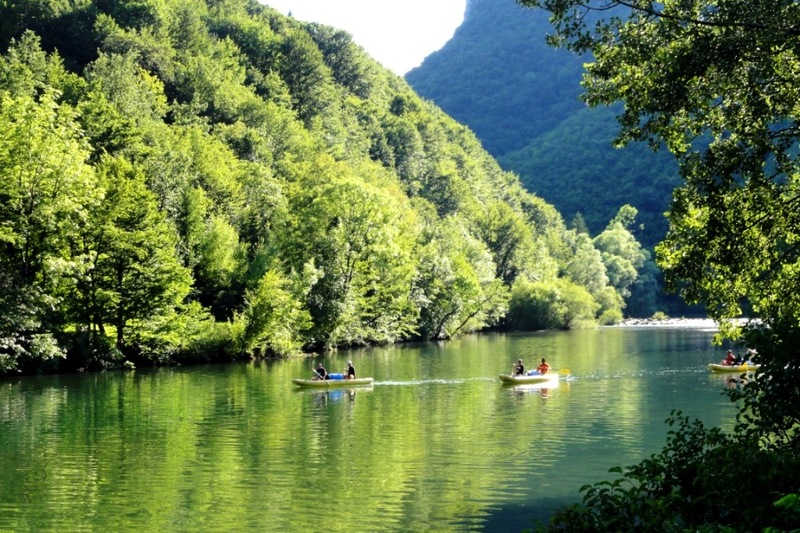 Kayaking down the idyllic river Kolpa which creates the border between Slovenia and Croatia. 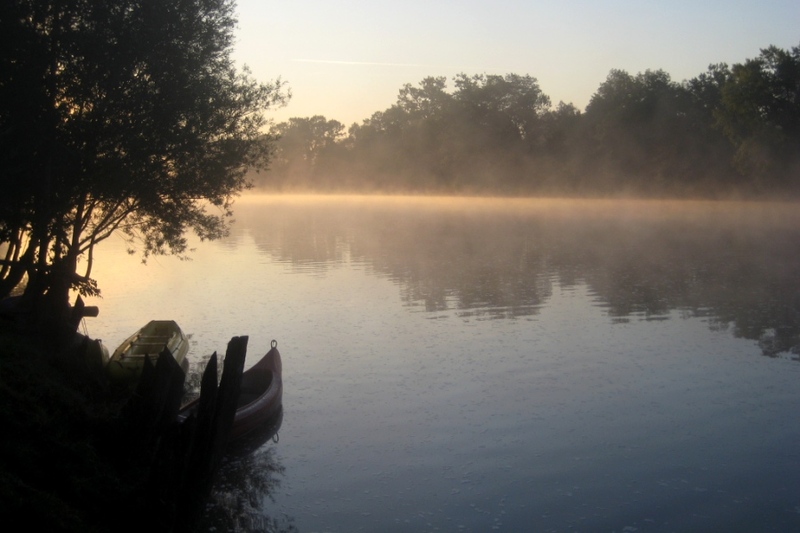 The Kolpa offers scope for single day trips or up to 8 day "safaris" with wild camping by the river or guest house stays, with most of the river suitable for novices. 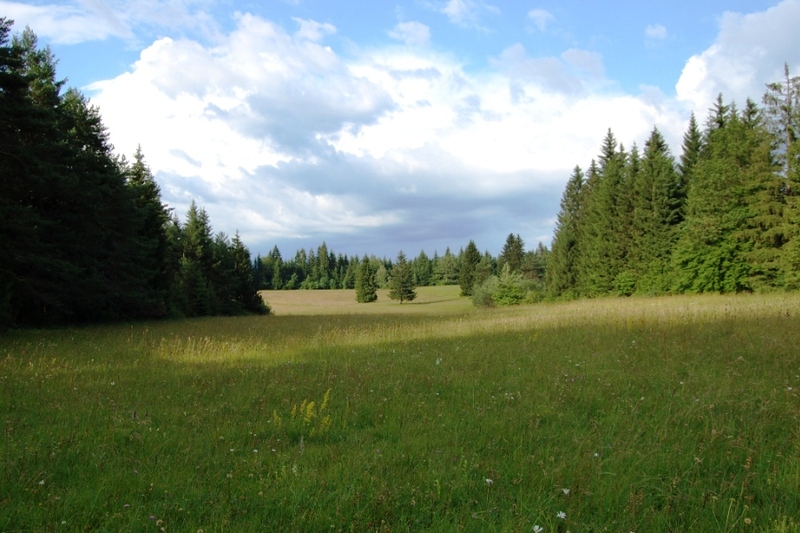 The Rakov Škocjan regional park and nature reserve between the towns of Cerknica and Postojna - a beautiful sunken karst valley with gentle walking trails taking visitors around the fascinating natural karst structures including natural bridges and caves. Exploring the primeval forests of the Kočevski Rog - wonderful hiking and biking country and home to arguably Slovenia's most dense, untouched forest wilderness - which is saying something in a country which is over 60% forested. 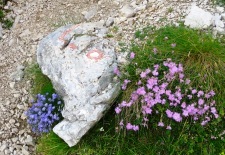 Hiking Snežnik Mountain Plateau, the highest point in Slovenia outside of the Alps at 1796m and which offers fantastic views of the surrounding forests and hills. 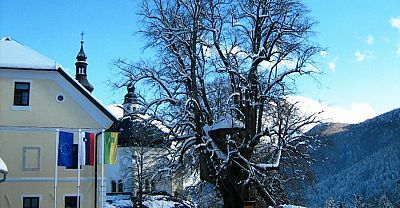 A small local ski resort called Sviščaki operates on the slopes below the peak on one side. The extraordinary "Križna Jama" - A relatively unknown cave system relative to its bigger neighbour at Postojna, but Križna Jama offers a total of 8km of underground passages, fascinating tours which are partly by boat and some of the world's richest cave wildlife - as demonstrated by the cave bear bones on display! Bear watching! 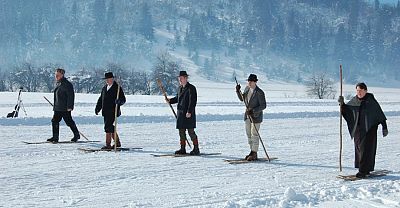 Slovenia is one of the rare countries in Europe with a stable bear population (current estimates 450-500). 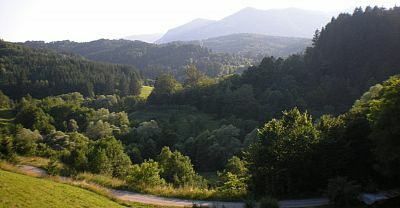 They favour karst highland forests such as in the Notranjska and Kočevje regions. A number of organisations / individuals organise bear watching trips. 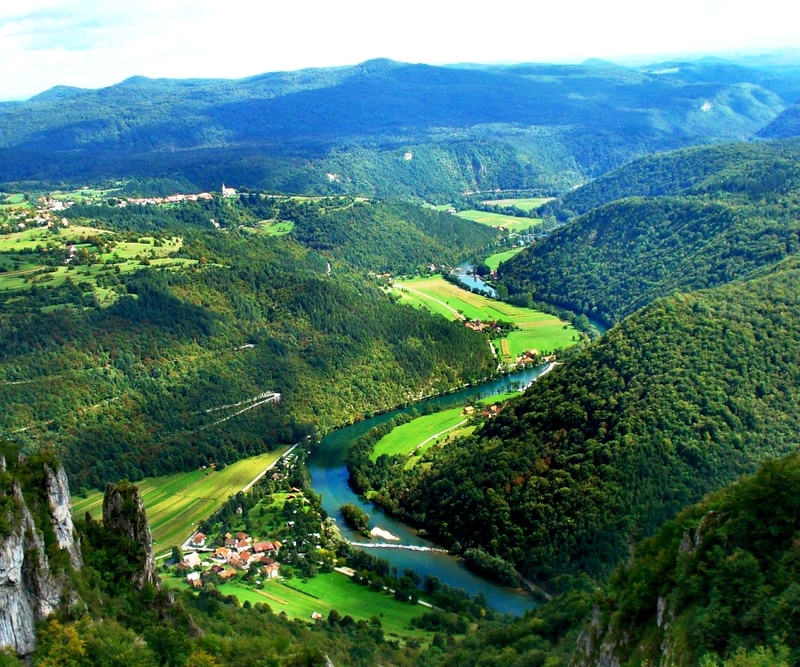 The Iška Gorge, just 15km South of Ljubljana near a village called Ig is a beautiful gorge at the confluence of the Zale and Iška rivers with various pools, rapids and waterfalls and a 10m high free standing stone pillar called the rock man. 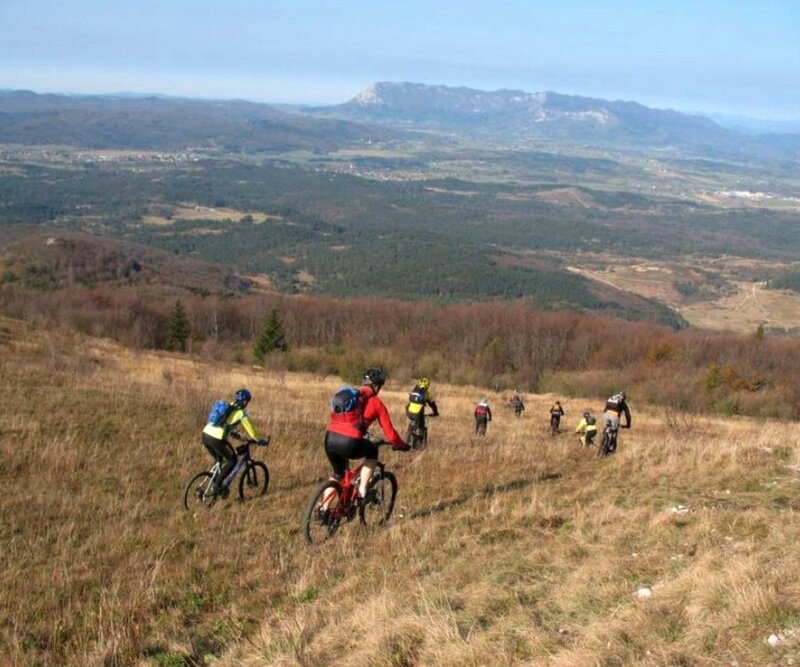 The Notranjska Bike Park which comprises 10 themed trails of a total length of 500km and height gain in each trail of 100m to over 2000m depending on how energetic you are! 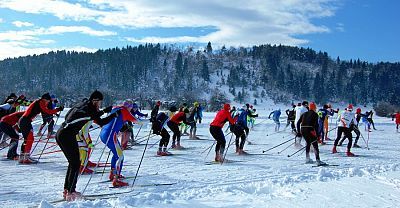 SKIING: There is beginner - intermediate level skiing possible at the small local resort of Sviščaki on the slopes of Snežnik mountain plateau. 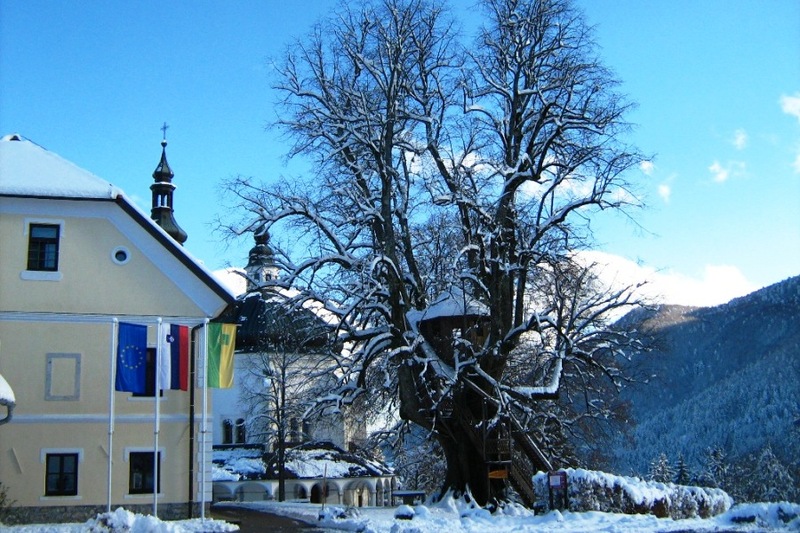 Snežnik is also a popular ski touring route. 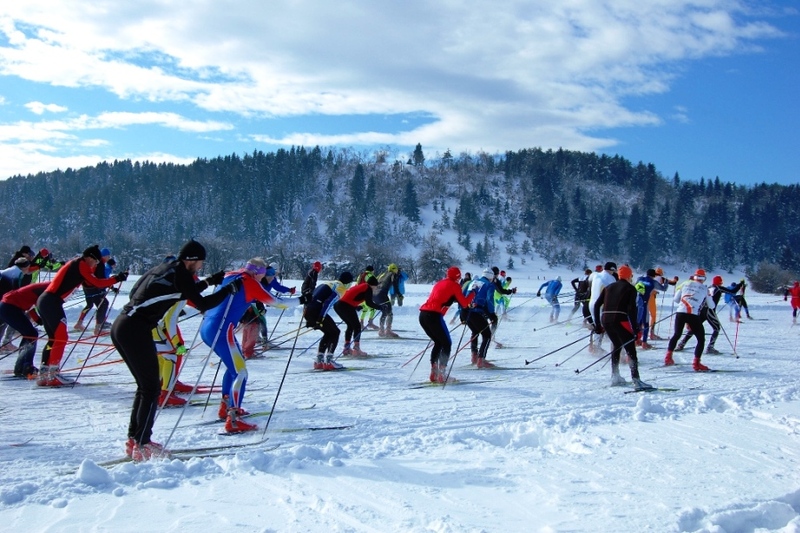 CLICK here for more information on Skiing in Slovenia. HIKING: There is outstanding hiking throughout the region - mostly more gentle hill walks than in the Alps further North of the country. 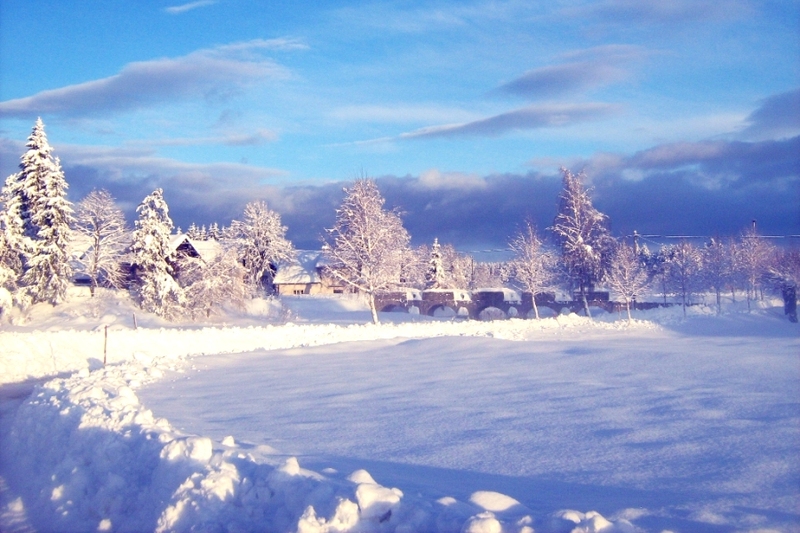 Highlights include the Kočevje Rog primeval forests, Rakov Škocjan nature reserve and various trails around Lake Cerknica. MOUNTAIN BIKING: There is fantastic biking for all levels throughout the region. The Notranjska Bike Park is a highlight with 10 themed trails with a total length of 500km suitable for a range of abilities and energy levels. 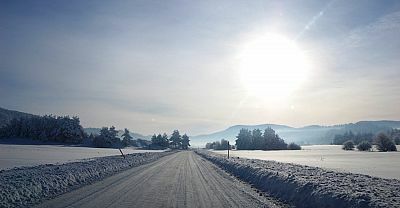 There is also a 30km bike trail which leads around Lake Cerknica which is a great way to get to know the area. 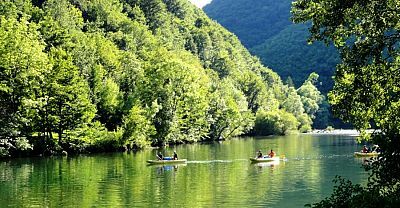 KAYAKING: Some of Slovenia's best kayaking is to be found on the Kolpa River. 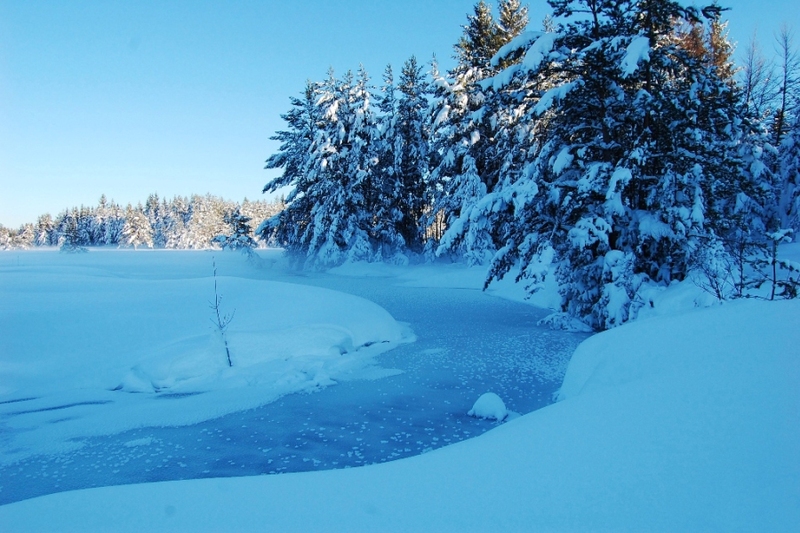 Whilst it is not as extreme as other rivers in terms of rapids, the scenery is idyllic and wild feeling and there is scope for multi day river safaris with wild camping by the river or stays in the many attractive guesthouses along its course. 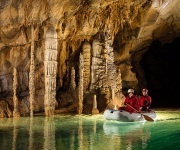 CLICK here for more information on Kayaking in Slovenia. 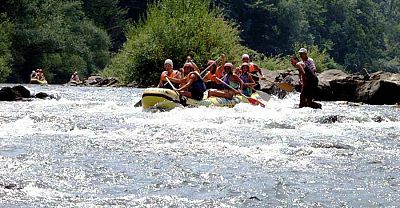 RAFTING: It is possible to use mini rafts on the Kolpa river, but for more adrenalin type rafting it is advisable to go to more extreme rivers such as the Soča. 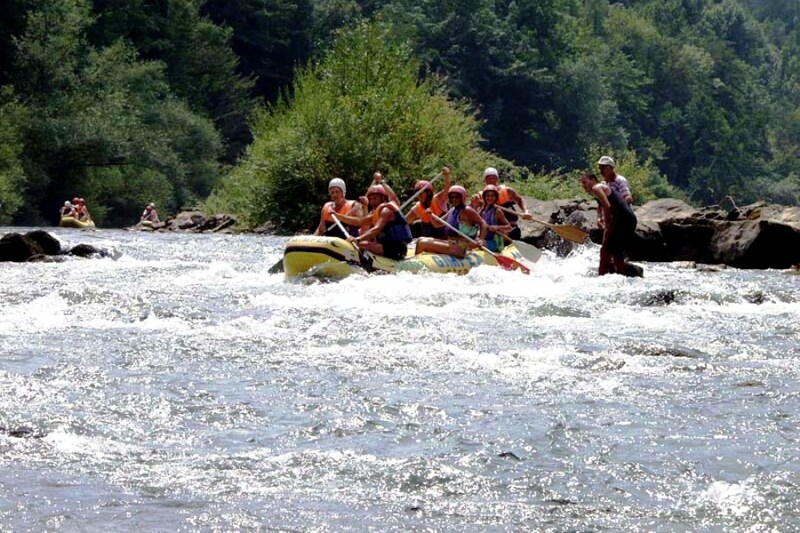 CLICK here for more information on Rafting in Slovenia. 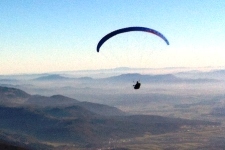 PARAGLIDING: There are several paragliding points in the region including Slivnica Hill, Račna Gora and Šilentabor, plus a number of sites in the Ilirska Bistrica area. 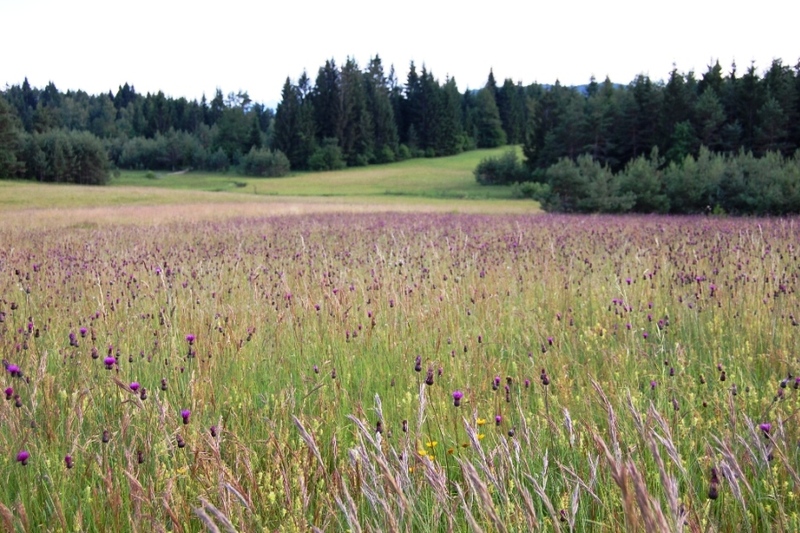 FLY FISHING: There is excellent flyfishing possible both on the Kolpa River and on Lake Cerknica. 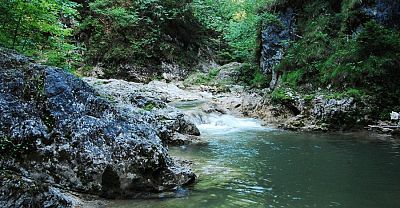 CLICK here for more information on Fly Fishing in Slovenia. 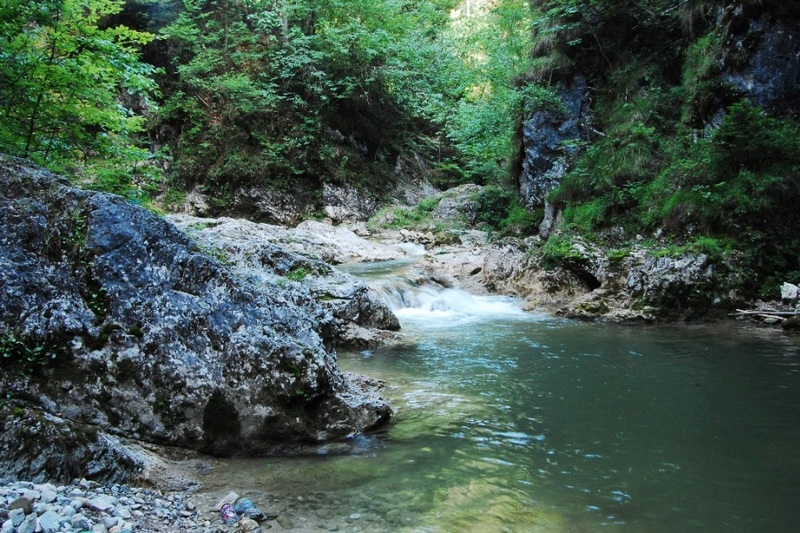 SWIMMING: The Kolpa is lovely for swimming in Summer months. 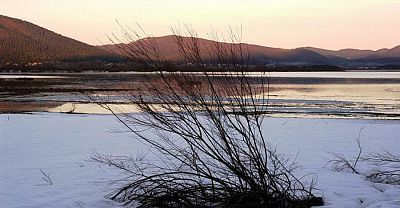 There are also various "beaches" and places to swim in Lake Cerknica. 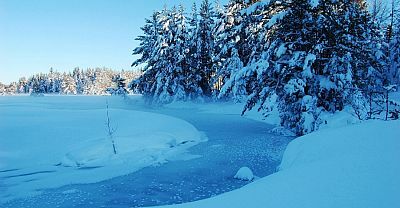 There is also a swimming lake near Kočevje and one in Bloke. 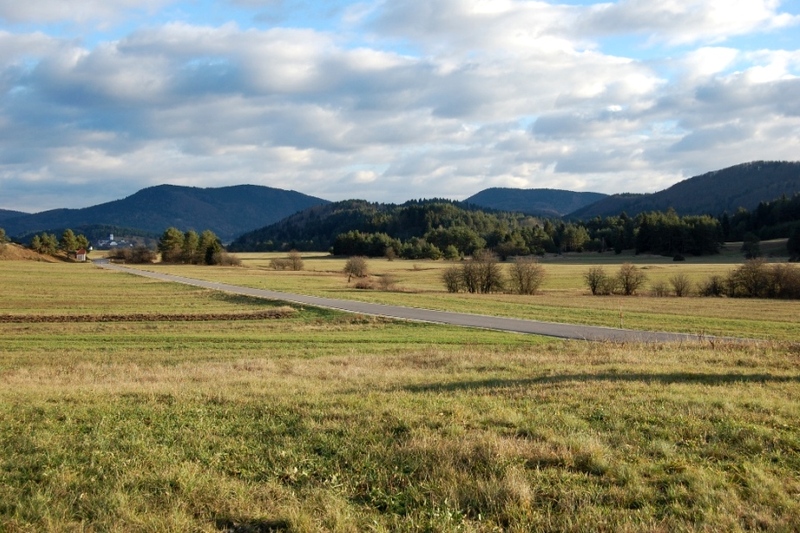 HORSE RIDING: The countryside of the region makes for excellent riding country. 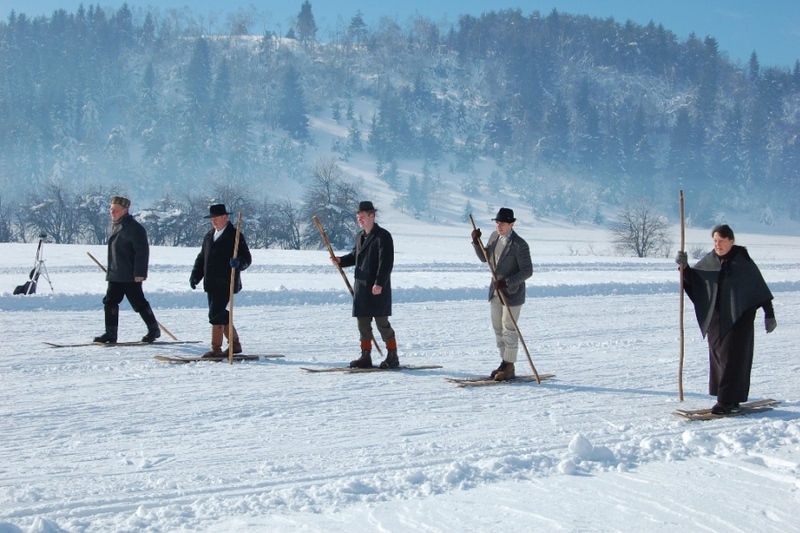 The Domačija Bostjančič in the hamlet of Brce near Ilirska Bistrica organise all manner of riding related activities from tuition to tours of the area and a riding arena. 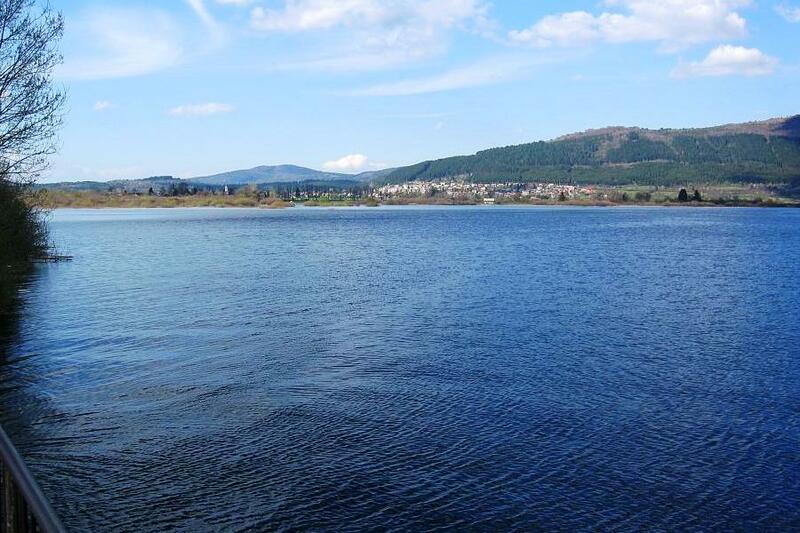 SAILING: Boating is permitted on the Cerknica lake and it is a beautiful place to sail. We do not have information currently on any boat rental suppliers. 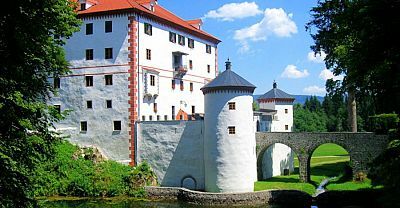 ARCHITECTURE & HISTORICAL SITES: The key site in the region is the newly restored Snežnik Castle built in the13th or 14th century by the Schneburg family, from whom the current name is derived. The castle has been externally renovated in recent years is surrounded by attractive parkland and with some interesting 18th and 19th century furnished rooms inside. 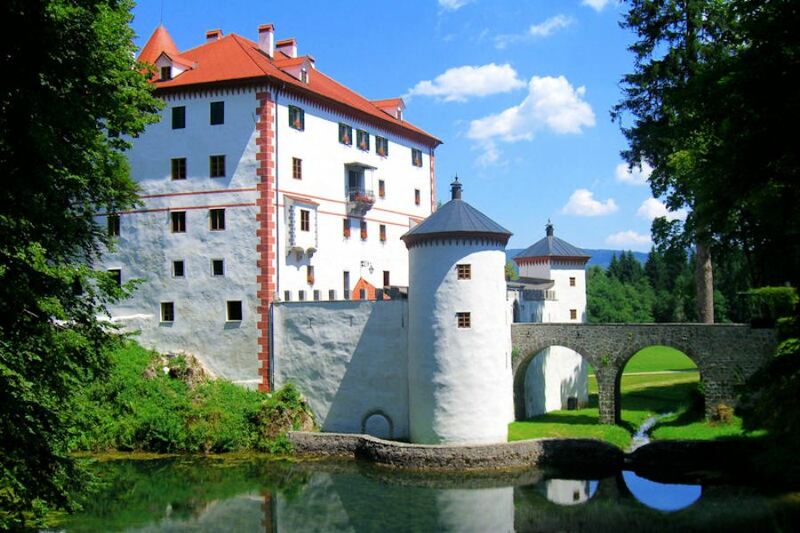 MUSEUMS & GALLERIES: Snežnik Castle offers glimpse of life at a nobleman's hunting lodge in Slovenia with a collection of original, mainly 19th century furnishings and artefacts. The castle itself dates back to the 13th or 14th century and has been externally renovated in recent years and is surrounded by attractive parkland. The Park of Miltary History in Pivka, is a project in development currently only open for a few months of the year but nonetheless of interest for military history enthusiasts wanting to learn about the strategic role of the region in various military conflicts as the lowest passage between the Alps, northern Adriatic and the rest of central Europe. 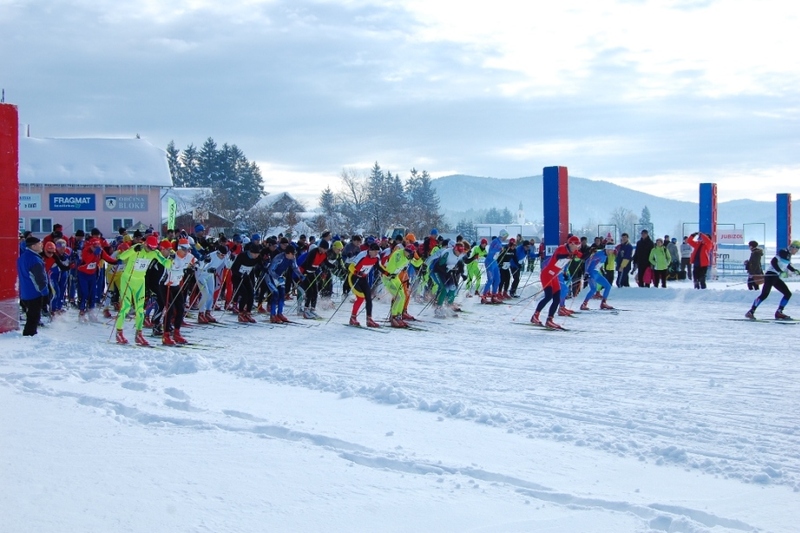 FESTIVALS: At the end of February there are carnivals - called pustovanje - across Slovenia to "chase away Winter". 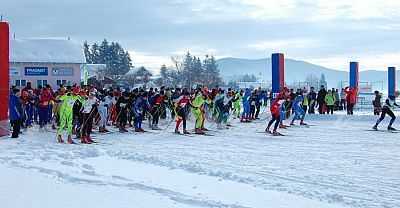 One of the most famous of these is in the town of Cerknica which lasts for a few days and features processions by local "butalci" carnival characters as well as witches which are said to fly down from the local Slivnica mountain and Jezerko which is a respresentation of a mythical monster from Lake Cerknica! 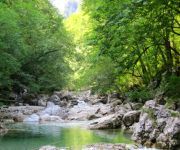 NATURAL ATTRACTIONS: The region has an abundance of natural attractions and is generally speaking one of the most unspoilt regions of a very unspoilt country! 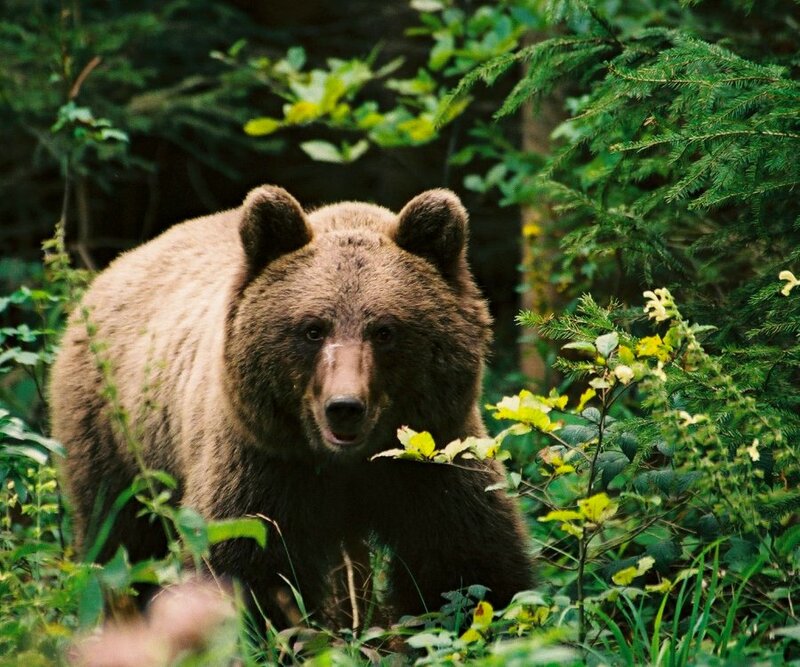 Chief among its natural attractions are Lake Cerknica, Rakov Škocjan nature reserve, The Kolpa River Valley & the forests and the primeval forests of the Kočevski Rog - home to one of Europe's most stable bear populations. 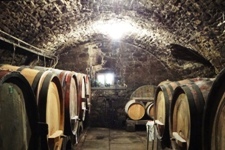 WINE TASTING: The south eastern part of the region is wine growing country and offers ample opportunities to sample the local wines at local wine cellars. 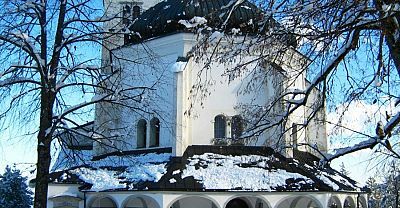 CLICK here for more information on Slovenian Wine.